The chancellor wants us to believe that this Budget will make Britain fit for the future. But no matter how fit we are as a country, there is one huge hurdle coming down the tracks – Brexit. Britain’s departure from the European Union is already costing public money that could be better spent on public services like the NHS. It is reducing economic growth. And it is undermining investment and productivity growth. These are new facts which were not known at the time of the referendum and which give the British people good reason to keep an open mind about Brexit. Like any constituency MP, I see the consequences of Tory austerity in our national health service every day. After years of chronic underfunding, we are facing a winter crisis. The likes of Boris Johnson and Michael Gove gave the British people a cast-iron guarantee during the referendum that a vote to leave would see the NHS boosted by an extra £350m a week. But instead, public money is being swallowed up by Brexit. Philip Hammond announced that the NHS would receive £2.8bn in emergency funding – just half of what health service chief executive Simon Stevens has called for. By contrast, the Treasury has managed to find more money – £3bn – for government departments to prepare for Brexit. Leaving the EU is using up public money that could be far better spent on the NHS. Research by Open Britain has found that the public purse has already suffered as a result of Brexit – and now the situation is set to get much worse. And we face a worsening economy, as well as weakening public finances. Before the referendum Britain was at the top of the growth charts for large advanced economies – now we are bumping along at the bottom. This Budget has confirmed that dreadful turn of events. In March 2016, the Office for Budget Responsibility was forecasting that our economy would grow by 2.2 per cent this year; now they say it will be just 1.5 per cent, a pattern set to continue in the coming years. Average earnings have likewise fallen into negative territory. Growth down, productivity down, earnings down – a Brexit triple whammy that is making us all poorer. There was no rabbit in the chancellor’s hat today: just a mounting Brexit squeeze which is leaving people poorer and starving our public services of much-needed funds. As the Brexit bad news mounts up, voters have every right to keep an open mind about whether leaving the EU is the best thing for our country. Chuka Umunna is MP for Streatham and a leading supporter of Open Britain. 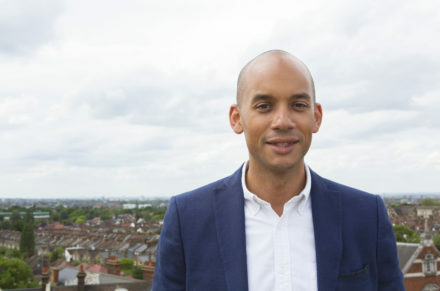 Chuka Umunna is the Labour MP for Streatham.